Alexander Anderson’s skills in mechanical and electrical engineering have already brought clean drinking water to a village in Papua New Guinea. Educating Alexander Anderson has been a family project. His parents, Alex and Olga, recognized early on that their son was unusually gifted. For the first dozen years they home-schooled him, with an emphasis on the humanities and languages. By the time he was 12, Alexander had surpassed his parents’ ability to educate him. They enrolled him at Green River College, but the college said it couldn’t let a boy his age attend on his own, and the Andersons thought it would be a waste of time to hang around while Alexander was in class. So, everyone in the family went to school — first to community college, then to Saint Martin’s University in Lacey, where all three earned degrees in mechanical engineering. • Applied for two patents, then scrapped that idea in favor of making his work available to anyone, so others might benefit from his ideas. Engineers and educators who know him say there’s no doubt that Anderson is brilliant, perhaps a genius. And he’s also a very nice guy. “He wants to serve — he wants to be helpful to people,” said Larry Hull, a Centralia orthopedist who has traveled extensively to developing countries on health-care missions. As a capstone project in college, Anderson worked with Hull to design the rainwater-collection system that involved “jillions of calculations,” said Hull, who received the American Academy of Orthopaedic Surgeons’ humanitarian award in 2010. Anderson, who has a gentle demeanor and who looks even younger than 19, is matter-of-fact about his skills. “I’ve always been at the top of my class,” he said. Over the past year, he finished an online master’s degree in electrical power engineering from Washington State University. He was able to accomplish that from his family’s home in North Bend — a neat-as-a-pin, cozy cabin on the banks of the Snoqualmie River, its shelves lined with volumes of calculus, physics, Latin, Greek and French. A large reproduction of Leonardo da Vinci’s Vitruvian Man hangs on one wall, and a wood stove crackles in the kitchen, where the family’s 20-year-old tabby cat winds her way around the table. Olga, who has master’s degrees in education and linguistics, has schooled him in Greek, Latin, French and Hebrew. 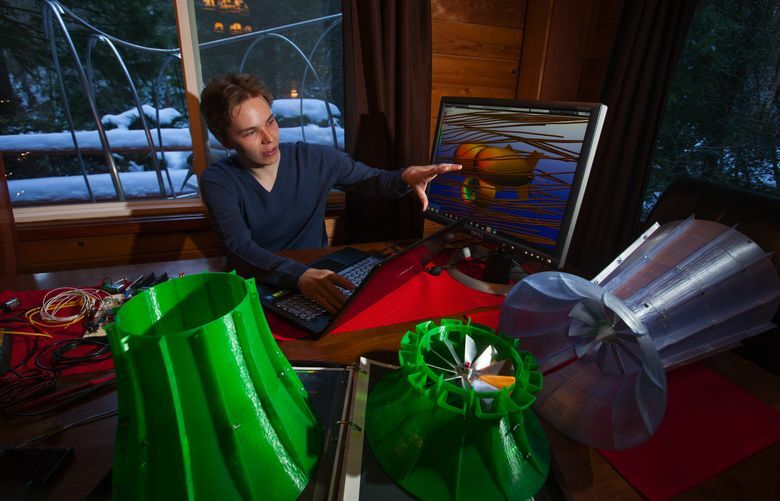 His father, an aircraft inspector at Boeing, has given his son a mechanical background. “He has been teaching me how to fix things as long as I can remember,” Alexander said. After all three earned associate degrees in aeronautical and mechanical pre-engineering at Green River, Alexander enrolled in Saint Martin’s, his parents’ alma mater, in Lacey. While at Saint Martin’s, Anderson was introduced to Hull, who works with Rotary International to bring health care to Madan, in Papua New Guinea. Anderson needed a capstone project to finish his mechanical-engineering degree. And clean-water collection was a critical need for the village. “That’s why we really needed his help,” Hull said. Anderson, along with his parents, designed a system to collect rainwater from rooftops, store it in tanks, and pipe it to three community centers and a medical clinic. It will help prevent the spread of disease, in a country where only 32 percent of the rural population has access to safe drinking water. The system is being built by the villagers. For Anderson, it was magical. By using mathematical calculations, he designed a system that could help prevent deadly diseases in a village on the other side of the world. Well, there’s electricity, Hull told him — a needed resource in Third World countries. And so Anderson has been working on both solar- and wind-energy systems. 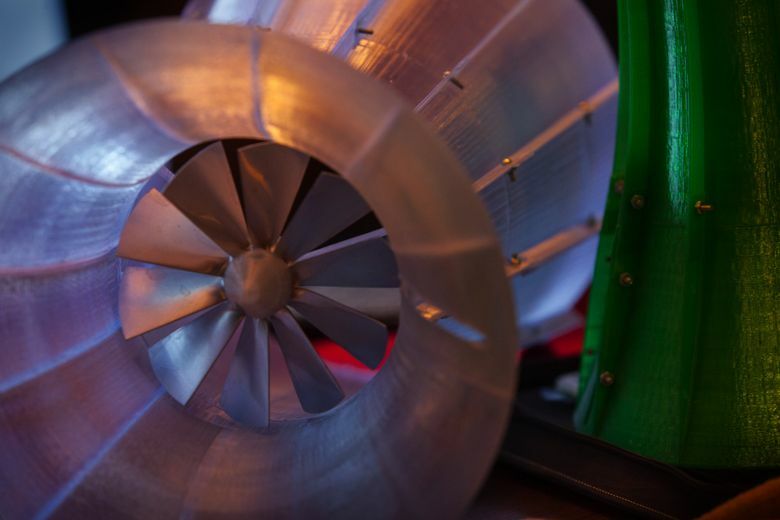 He’s been exploring how using a flared, tube-shaped device called an augmenter can concentrate wind power, making turbines more efficient. Augmenters are sometimes used on wind farms, but engineers have had no way to predict whether adding one justified the extra expense and weight at a given location. The Andersons designed models using 3-D printers, and tested the devices in a low-speed wind tunnel they constructed in the garage. Eventually, Anderson developed a formula that could predict an augmenter’s efficiency. 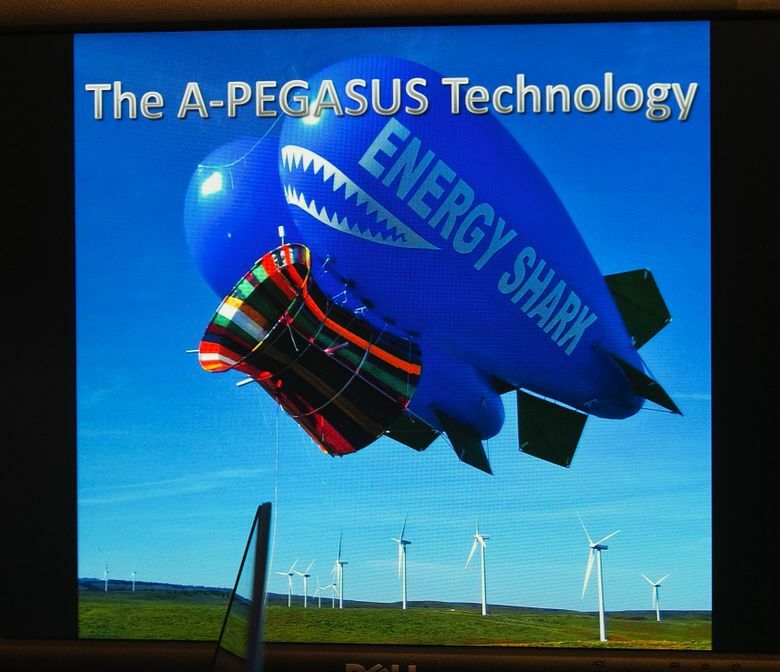 In 2014, he won a grant from the American Public Power Association (APPA), a service organization run by publicly owned electric utilities, to build his own airborne wind turbine — held aloft by balloons and tethered to the ground. Airborne turbines can be raised or lowered depending on wind speed, and they can be used in areas where constructing a tower isn’t practical. Building the turbine also gave Anderson a chance to test his augmenter formula, and last year he flew the design at Puget Sound Energy’s Wild Horse Wind Facility. The engineers at the power association were impressed. “Think of the Third World opportunities,” marveled Michael Hyland, senior vice president of engineering and operations for the association. The balloon could be shipped in a box, set up and deployed quickly in a remote area, for a low cost — providing enough power to run lights and charge cellphones. Indeed, Hull will do just that in 2016, bringing it with him to Papua New Guinea. Hyland called it a smart, creative design with lots of potential. And Anderson’s report to the American Public Power Association was equally impressive. Anderson said the airborne turbine went from a concept drawing to a full-scale test in just five months. When it came to the paper, he just couldn’t stop writing. “There was a lot to talk about,” he said, grinning. Last year, Anderson presented his work at an Everett conference of the American Institute of Aeronautics and Astronautics. In 2014, Anderson applied for WSU’s new online master’s program, designed for electrical power professionals who needed both technical and managerial skills. The Andersons by this time had started a company, Odin Energy Works, and the professional degree seemed like a good fit. His work, Olsen said, was top-notch. “He’s very interesting, very articulate, and what he’s going to be doing — I really don’t know, but maybe the sky’s the limit,” he said. In October, Anderson presented a paper on the rainwater-collection system at the Institute of Electrical and Electronics Engineers’ Global Humanitarian Conference, winning first place. He plans to work with the institute on the construction of “smart villages” — bringing solar energy to third-world villages. Robin Podmore, a Bellevue engineer who is closely involved with the institute’s Smart Villages project, says he’s impressed by Anderson. “I think this young man is going to change the world,” Podmore said.